Hi, I'd like to show you this page I found on Al-Mart Furniture's website. 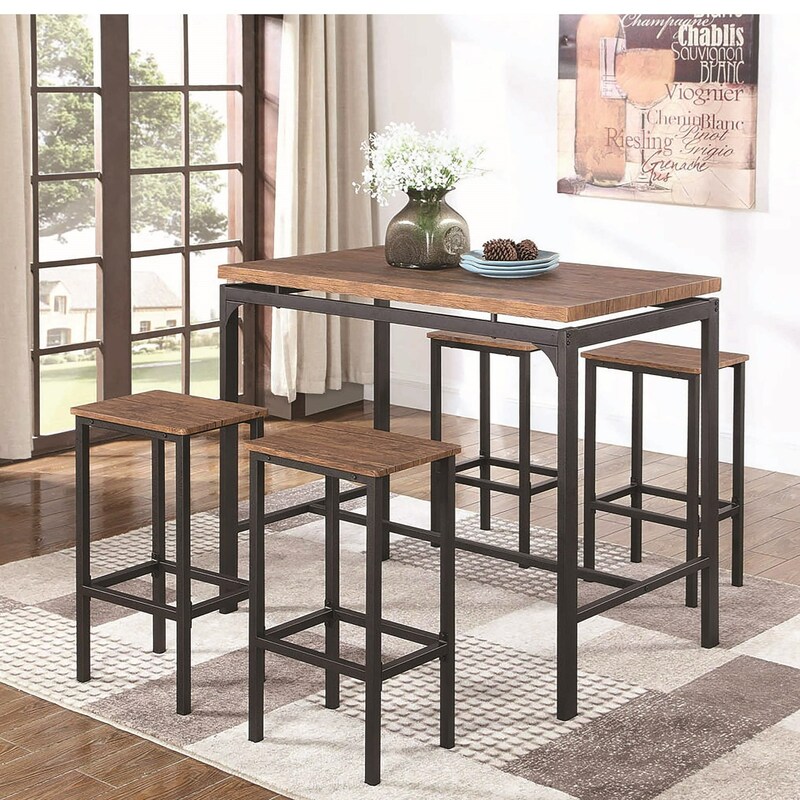 The 182002 Industrial Table and Chair Set for Four by Coaster at Al-Mart Furniture in the Oak Park, River Forest, Chicago, Elmwood Park, Forest Park, River Grove, Maywood, Melrose Park, Berwyn, Cicero, North Riverside, Brookfield, Lagrange Park, Franklin Park, Norridge, Oakbrook, Elmhurst, Bensenville, Lyons, Stickney, Harwood Heights, IL area. Product availability may vary. Contact us for the most current availability on this product. Al-Mart Furniture features a great selection of living room, bedroom, dining room, home office, entertainment, accent, furniture, and mattresses, and can help you with your home design and decorating. View recent additions to our online furniture gallery. Al-Mart Furniture offers great quality furniture, at a low price to the Park Ridge, Niles, Rosemont, llinois plus Lincolnwood, Evanston, Skokie, Morton Grove, Glenview, Wilmette, Northbrook, Des Plaines, Elk Grove Village, Mount Prospect, Prospect Heights, Rolling Meadows, Wood Dale, Itasca, Addison, Villa Park, Lombard, Downers Grove, Westmont, Hinsdale, Willowbrook, Burr Ridge. Willow Springs, Bridgeview, Burbank, Oak Lawn, Evergreen Park, Northfield, Kenliworth, Winnetka, Glencoe, Highland Park, Deerfield, Lincolnshire, Wheeling, Riverwoods, Buffalo Grove, Long Grove, Vernon Hills, Palatine, Schaumburg, Barrington, Roselle, Bloomingdale, Glendale Heights, Wheaton, Gurnee, Claredon Hills, Darien, Naperville, Illinois area.